George L. Heinrich will be presenting at the New York Turtle and Tortoise Society Seminar 2017. 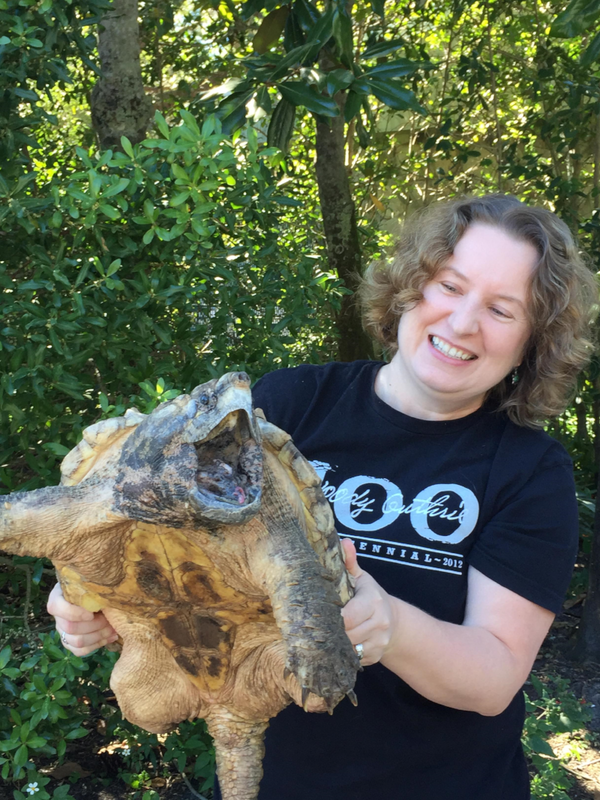 He will be visiting Yonkers (located just outside of NYC) to share our work with gopher tortoises and Suwannee cooters, as well as to promote the Florida Turtle Conservation Trust's new initiative, The Big Turtle Year (www.thebigturtleyear.org). The new “Turtle Science” course for adults at Boyd Hill Nature Preserve (St. Petersburg, Florida) is underway. Twelve students are participating in this hands-on course which introduces the study of freshwater turtles and tortoises, and is designed for college students, naturalists, educators, environmental professionals, and other interested individuals. Students will learn about the world’s most endangered group of wildlife during seven, themed monthly sessions running through May 2017. The goal is to introduce students to how wildlife research is conducted and to engage them about important global conservation issues. Classroom sessions include PowerPoint presentations on why turtles are cool, gopher tortoises and fire ecology, anatomy, feeding ecology, nesting ecology, and global conservation issues, as well as engaging hands-on activities. Field sessions include lessons on identification techniques and data collection. A field trip to Rainbow Run (Dunnellon) during the last session will provide an opportunity to canoe and snorkel in a spring-fed river supporting several turtle species. Plans for the Florida Turtle Conservation Trust's new project, The Big Turtle Year, are well underway. We recently met with potential project partners and sponsors at the Turtle Survival Alliance conference held in New Orleans this month. Interest in this conservation education project is strong and we look forward to working with multiple partners. We also completed two reconnaissance trips to the Midwest and Gulf Coast regions of the United States, with 14 species observed. This was nice publicity for Boyd Hill Nature Preserve (St. Petersburg, Florida), where ongoing habitat restoration work under the direction of preserve supervisor Barbara Stalbird is continuing at a steady pace. Her success at writing and receiving grants is critical toward this effort. We are also pleased that it acknowledged the importance of volunteers. Only a few minor errors were reported in the article, but overall it is a nice piece. George L. Heinrich and Tim Walsh (Bruce Museum) recently completed a week of fieldwork on several Florida rivers within the southern distribution of the Suwannee cooter (Pseudemys concinna suwanniensis). Accurate delineation of this species' distribution is vital to assuring appropriate conservation and management efforts. Other than limited references to this species in the Alafia River in both the scientific and gray literature, little is known regarding its occurrence south of the Weeki Wachee River. The paucity of fieldwork conducted in the past illustrates the need for basic research in this region. This project is generating much-needed data for a species that is known to be data-deficient. The distribution map below was prepared prior to our documentation (Walsh and Heinrich 2015) of the Suwannee cooter's occurrence on the Pithlachascotee River. Check back soon to learn the exciting results of our recent fieldwork. Boyd Hill Nature Preserve (St. Petersburg, Florida) is home to the largest remaining population of gopher tortoises (Gopherus polyphemus) in the southern Pinellas Peninsula. Preserve visitors can easily watch this threatened species foraging in the uplands, as well as view their burrows. These burrows serve as important homes or refugia for at least 364 other species that occur throughout the tortoise’s range. A new gopher tortoise burrow survey will be conducted throughout the preserve's uplands during April-May 2016. Conducted by Heinrich Ecological Services, this survey will provide data resulting in the production of a new distribution map, a revised estimate of population size, and determination of tortoise density per management unit. A large number of volunteers will be needed to complete this project. This is an opportunity for individuals to learn about the ecology of this threatened species, while participating in actual wildlife research. Please contact george@heinrichecologicalservices.com or (727) 599-1843 for additional information on how to become involved with this project. Ongoing Suwannee cooter (Pseudemys concinna suwanniensis) research in the Alafia River, conducted by Heinrich Ecological Services in collaboration with the Bruce Museum (Greenwich, Connecticut), was highlighted in this recent Fotobug podcast (interview begins at 13:17 mark). Thanks to Jim Caldwell for promoting this field project.